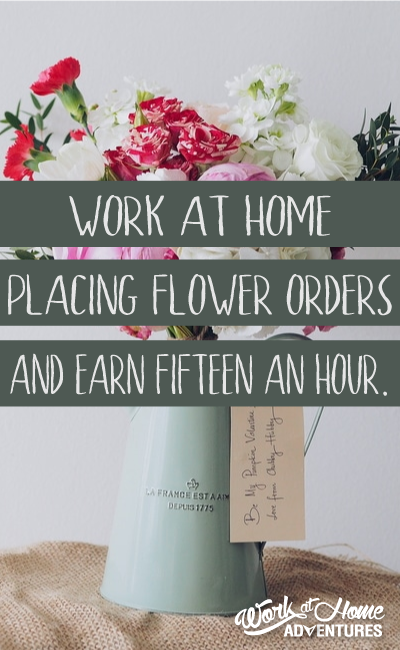 Blooms today is an online floral company that hires individuals to work from home in their customer service department. This company is busiest during holiday seasons such as Valentine’s Day, Mother’s Day and Christmas. Most of their open positions are during these times. Seasonal work is temporary and based on demand, but if you are a good fit, you may be asked to work during multiple seasons. These temporary/seasonal positions are independent contractor positions that pay around $15 per hour. There are some more permanent positions in which employees are hired. These positions do not pay as much, but sales-based commission is offered. Training is paid, and is completed over the phone for Blooms Today Contractors. More permanent positions pay less than $15 per hour but sales commission is given. 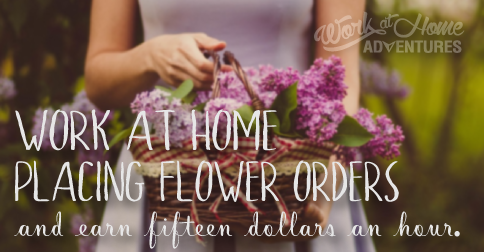 Pay as an Independent Contractor for Blooms Today is given via direct deposit. If you are hired to work temporarily for Blooms Today, you will be hired as a independent contractor and will not receive benefits. Scheduling differs based on which position you are hired for. Temporary positions require you to work 6 hour shifts each day. Some of these jobs only last 10 days, so working several days in a row will probably be required. Glassdoor currently offers ten reviews written by current and past employees. Overall, they rank Blooms Today a 3/5, with a generally positive outlook for the company. My personal experience of feedback that I have seen from years of reading about Blooms Today is that people would love to find more long term contracts with the company. This, to me, is a great sign of a good company. You may visit Blooms Today Online to apply. Thanks for sharing this information about Blooms Today and how to apply for a job with them. Sounds like a good company to work for. Passing this along. Hope you’re having a great week! Thanks for creating this blog! I think it’s fate that I decided to follow your blog from Flippa, because I’ve been looking for ways to make extra income until my blogging career blossom. Your blog is the solution I’ve been searching for to help me overcome my cash-flow problems. I am glad you found the site. I hope you find the perfect work at home job that provides you a stable income until your blog takes off. Blogs are a great passive income but as you know, often takes years to generate enough to be reliable. Thank you Miranda! I just applied. I have my fingers crossed. I confess to finding it difficult to take seriously a blog/website post that contain grammatical errors. Do you proofread? Out loud? Thanks for noticing. While I personally didn’t write this particular post, I have corrected the most obvious errors. Proofreading out loud is most coveting editing trick! Are these opportunities still available? The blog posts are from 2016. I may be interested. Hi, Lucy! I went ahead and checked the link. Looks like it’s still viable (application pulls up), so there’s a good chance they are still looking for candidates. Please feel free to explore this opportunity further. If you find out any other useful information, come back and share with us!